Designed by Christina Schultz in 2005. Published by FontFont. FF PicLig supports up to 50 different languages such as Spanish, English, Portuguese, German, French, Italian, Dutch, Swedish, Finnish, Danish, Irish, Basque, Icelandic, and Luxembourgian in Latin and other scripts. 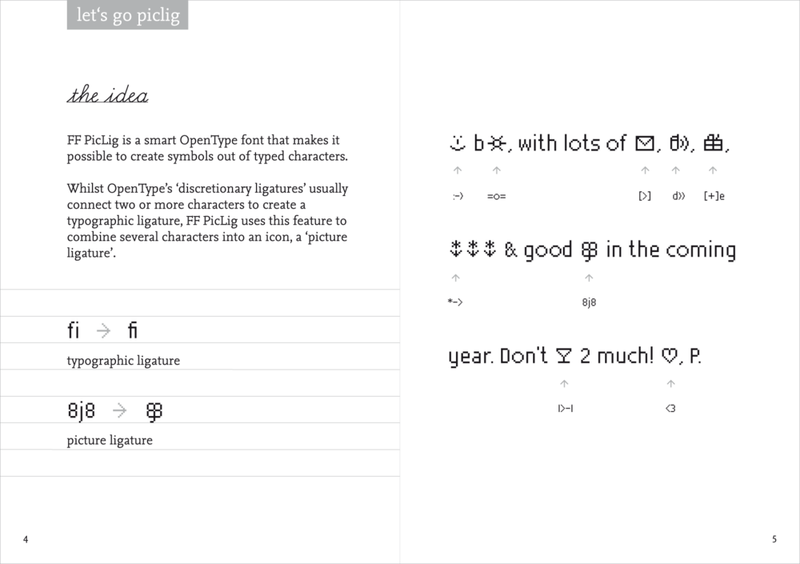 FF PicLig is a smart OpenType font with a special ability: use it to make symbols out of typed characters. 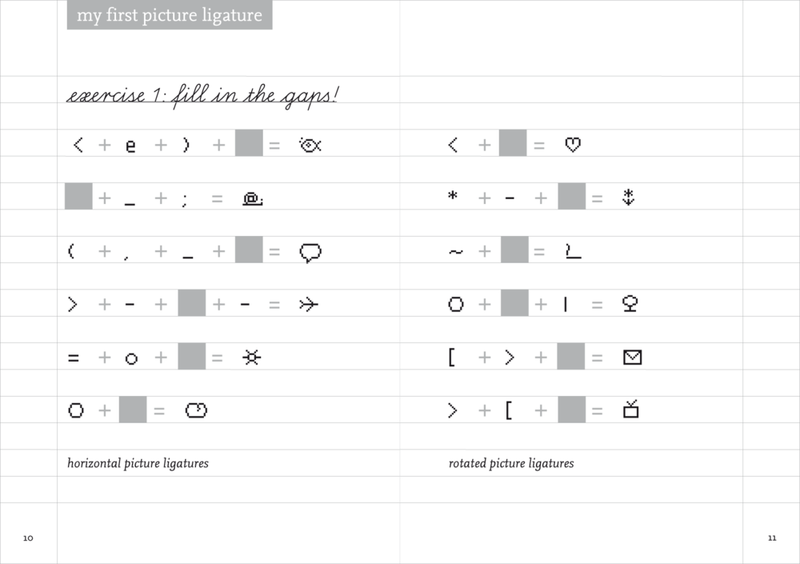 While OpenType’s “discretionary ligatures” usually connect two or more letters to create a typographic ligature, designer Christina Schultz used this feature of the technology to combine several letters into an icon, a “picture ligature.” By means of automatic substitution, certain character combinations flow icons alongside text, enabling users to communicate more expressively. Inspired by the use of symbols in textual communication, Schultz created FF PicLig between 2004 and 2005 as part of her master’s thesis, “Alphabet Invaders – How New Technology Has Transformed the Way We Communicate.” FF PicLig was selected by the TDC judges and received a Certificate of Excellence in Type Design in 2006.